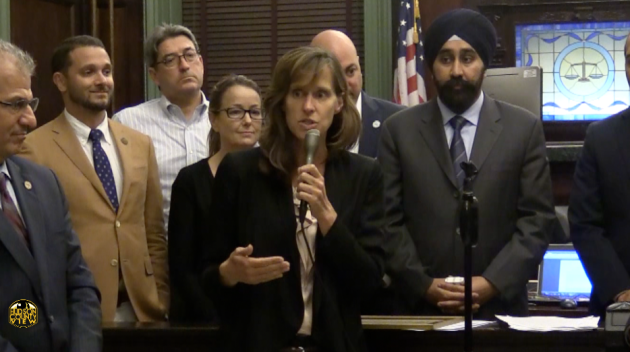 After a Muslim community center was voted down by the Bayonne Zoning Board of Adjustment, creating national headlines, Hoboken Mayor Dawn Zimmer has chimed in saying a mosque would be welcome in the Mile Square City. 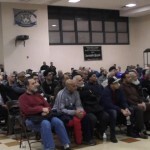 After a cumulative 14 hours of testimony, five-and-a-half coming on Monday evening, the Bayonne Zoning Board shot down a mosque proposal for 109 East 24th Street, with board commissioners calling the project a bad fit for the crowded residential neighborhood. 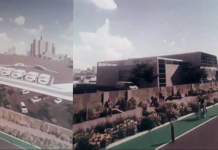 Early Tuesday morning, Zimmer tweeted that she was “surprised” to learn the project did not receive approval and said Hoboken would welcome a mosque. I was surprised to hear our neighbors voted down a Muslim community center. I would welcome a mosque in Hoboken. Additionally, Hoboken Resistance, a group committed to “preservation of everyone’s basic human rights,” wrote a letter to Zimmer and the Hoboken Council yesterday denouncing the Bayonne Zoning Board’s decision. 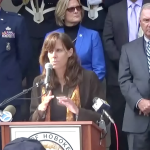 “In this time of federal policies that create divisions between neighbors and foment racial violence, it is imperative on our cities to take bold and affirmative steps to reassure all residents that they are both safe and valued,” the letter reads. The contentious meeting had several tense moments, including some residents heckling Muslims who engaged in prayer moments before the meeting began and one woman reading an interpretation of the Quran that explicitly talked about killing. The letter, signed by five different Hoboken residents connected to the Hoboken Resistance group, also says that “personal biases, vendettas, or hateful uninformed rhetoric” has no place in a country that promotes freedom of religion and conscience. 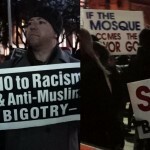 The group concludes by asking Hoboken elected officials to condemn hate speech, welcome all creeds, colors and religions, reassure residents that the Hoboken Zoning Board will be independent of religious or racial bias and to offer consultative services to Bayonne in order to help select a mosque site in their city. 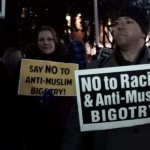 Furthermore, a representative from Hoboken Resistance told Hudson County View the letter hasn’t been delivered to their city officials yet since they are collecting signatures for a petition denouncing anti-Muslim speech that will be submitted with the letter. 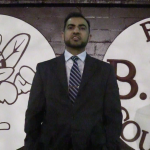 Minutes after the highly publicized Bayonne Zoning Board meeting concluded, Bayonne Muslims Secretary Waheed Akbar exclusively told Hudson County View that he is still confident a mosque will eventually come to the Peninsula City. They could buy 901 Bloomfield Street and restore it. Not the first time a church became a mosque. Since the Mayor has shown her “tolerant” side, maybe she will stop treating born and raised residents like second class citizens. Amazing things happen during re-election season. It’s a time when words just don’t seem to match actions. 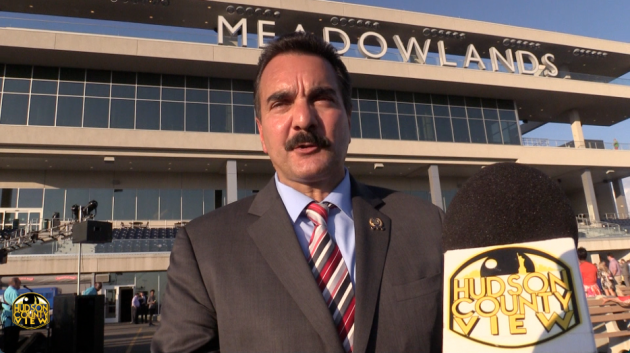 Why is Zimmer bashing Bayonne and starting another media fight? Is she so much of a publicity hound?